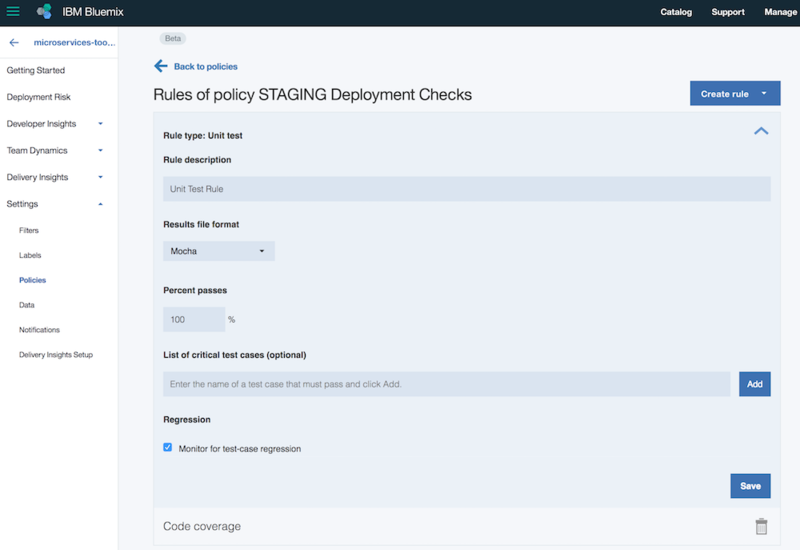 IBM's DevOps Insights reduces deployment risk by letting you define policies that stop the pipeline until testing conditions have been passed. 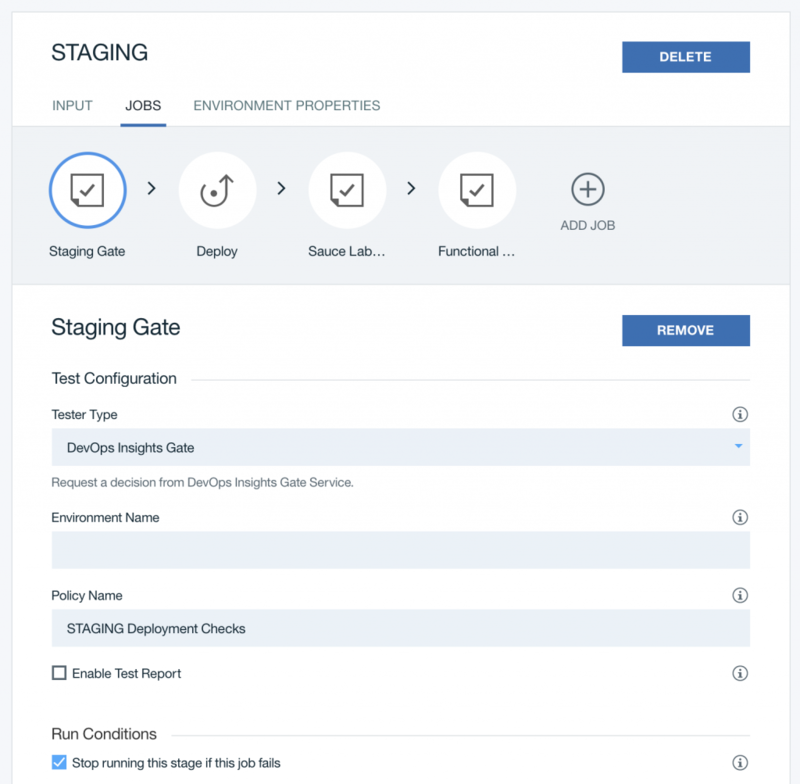 Earlier this year, IBM introduced a new service, DevOps Insights (beta), which helps, among other things, to reduce deployment risks. Policies can be defined to ensure that unit tests, functionality tests and other tests pass before new versions of applications are deployed. The following screenshot shows the DevOps Insights dashboard with a sample application that contains two deployable units, one microservice and one web application. For each deployable unit, icons indicate which tests have been run for which environments and whether they have been successful. Gates can be inserted into the delivery pipelines to ensure certain policies are met before the pipeline executions continue. In this screenshot, the staging gate failed because not all unit tests have passed, and this caused the pipeline to stop. 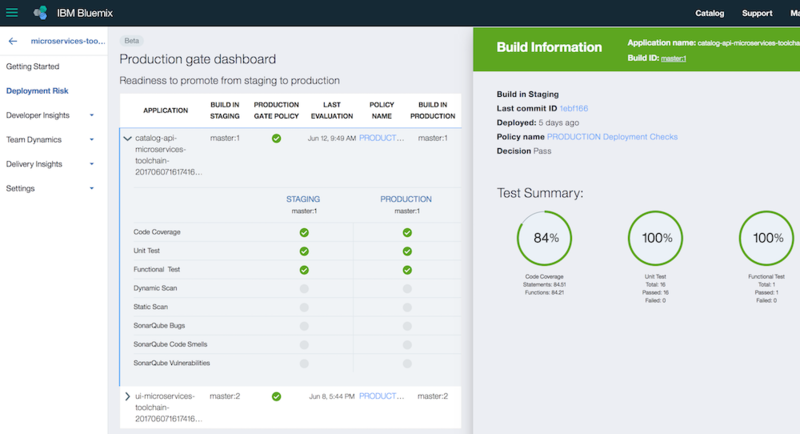 In order to leverage gates, use the tester type “DevOps Insights Gate” in the configuration of your pipeline stages and link to a policy. With policies, you can define how many and which exact unit tests, functional verification tests, etc. need to pass. 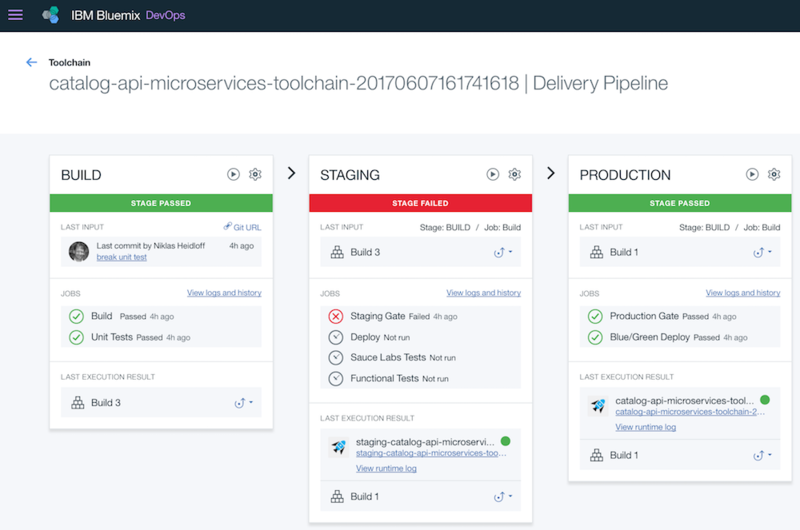 If you want to try out this functionality, you can easily set up one of the toolchain samples which come with the DevOps Insights service.